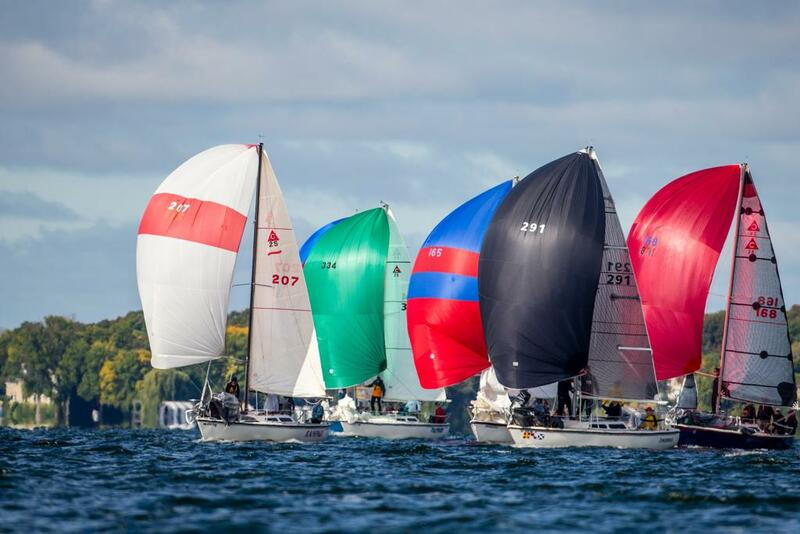 The Wayzata Yacht Club is a non-profit sailboat racing club that is owned and operated by its members. A paid membership is required for racing your boat at WYC. See below for annual membership rates. See club bylaws for membership details. Do you want to try your hand at racing on a sailboat? Are you experienced crew looking for a new boat? Are you a boat owner or skipper looking for crew to build your team? If you said "Yes" to any of these, please join us at the Wayzata Yacht Club (WYC) Crew Meet & Greet on Thursday 5/2/19, 6:30-9:30 pm. at Wayzata Yacht Club. This gathering will provide opportunities for skippers, boat owners, and potential crew to mingle and establish new connections before the season is in full swing. Link to Facebook event. Full membership is appropriate for those intending to race a boat, moor at the club docks, and vote on club issues. Full memberships include your spouse and young children. Upon joining, or upgrading membership status, a one-time $400 membership certificate must be purchased. Skipper memberships are popular for sailors who do not own a boat, but wish to regularly act as the required "member-on-board". Additionally, all equity holders in boat partnerships are required to be Skipper or Full Members. Skipper members are not eligible to vote or earn mooring points at the club. Crew membership provides sailors who crew or skipper small boats at WYC with club mailings, a club parking permit, access to club grounds and facilities, and guilt-free access to refreshments after the race. Crew members may also act as the "member-on-board" on a limited basis as noted in the Notice of Race eligibility and entry (section 2.2.2). A crew membership is only required after participating in 5 races. Register online (administered by SportsEngine). Click the link on the right side of this page. Or download and print the PDF version on the right side of this page, and submit it to WYC accounting. Once received and processed, an online payment link will be sent to you via e-mail. Full members should contact the Club Manager first regarding additional membership requirements. If you are new to WYC and plan to race your own boat, we encourage you to immediately contact the appropriate Fleet Captain to introduce yourself and learn of any requirements or dues for joining a specific fleet within the club. Register online above, or download, print, and email/mail the membership form below. * Individual racing members of an association must be a member of WYC and follow member rules. ** Required after five races. Please see club bylaws for membership details.